As mentioned in my previous post, I’m thinking very seriously about shaking up the fleet and adding a modern, fuel-injected motorcycle. Basically, I’d like to have one bike I can actually ride, then one project bike (my GL1100). Last season I had three project bikes and nothing to ride. As projects get finished, I can find other bikes to tinker with, but all along, I’d like to have one bike I know I can rely on. Selling the CB750 will help finance this modern machine, but figuring out which motorcycle to consider buying has had me scratching my head for weeks. Because I’m always lusting after British and Japanese machines from the ’60s and ’70s, there’s not much out there that I find interesting. The market seems to be made up almost entirely of ghastly v-twin cruisers and pretentious sportbikes. Then there’s price. I’m not dropping $25k on a new motorcycle. So after scouring the market, I’ve narrowed it down to a couple categories and a handful of contenders. Bear with me as I quite literally think this through out loud (in type). In trying to narrow down to just one bike, my main trouble is I’m not sure what I want. What would I want to actually use this motorcycle for? Is it just for weekend wandering around North Chicagoland, or should I invest in something I can ride cross-country? Should I look at something with some amount of off-road capability? I’m just not sure where my priorities should be. I could prioritize for touring, even though I’d probably only do one or two big trips a year? Given that there’s already, technically, a touring motorcycle in my garage (my GL1100 project bike), would that be redundant? When I look at this category, I think about maximizing capability. Perhaps a mid-size enduro or touring machine could be fun day-to-day but also extend that reliability I’m looking for to travel. Thankfully, there are a handful of great bikes out there for someone with miles on his mind. Available as both an 800cc and 1050cc, the Tiger has long been near the top of my list of modern bikes I’d spend my own money on. Both the 800 and the 1050 are bikes built for long-distance riding, but also with taller riders in mind. The Tiger 1050 in particular fits me better than almost any other machine on the market. Unfortunately, at $13k, it’s a tall price as well. I haven’t had any seat time in the Tiger 800 yet, but having ridden the Tiger 1050, I’m confident that there’s nowhere I’d want to go that either bike couldn’t take me. While I’d love to have one of these magnificent machines, they’re more money than I can spend on something as discretionary as a motorcycle right now. They’re brilliant enough that they’re nearly impossible to find on the used market with anything but a bajillion miles on them. Relatively unknown in the shadow of its big brother the Goldwing, Honda’s ST1300 features shaft drive and a V4 power plant. Technically a sport touring bike, the ST1300 combines Honda engineering and touring pedigree into a much more sporting package than its spaceship bigger brother. 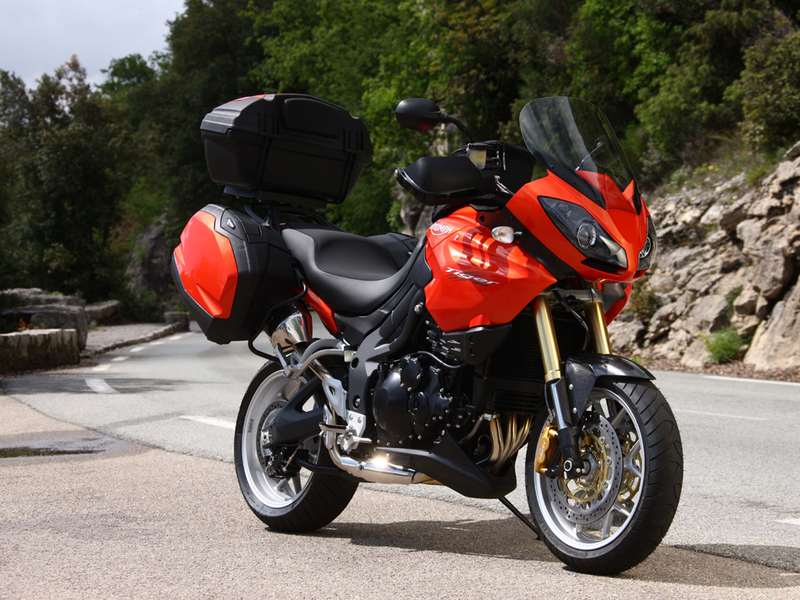 With an integrated fairing, adjustable windshield and built-in luggage, the ST1300 is designed to gobble up miles with high performance flair. At 730 lbs wet, however, it’s not exactly at fighting weight. I’ve never found that the weight of a big motorcycle like this really makes any difference in riding it, but that’s a lot of kinetic energy to contend with. It’d probably take a fork lift to pick it up if it ever fell over. Stupid expensive at over $18k. For about $100 more, I could buy a brand new Honda Insight hybrid sedan! Even if I had $18,000 to throw at a motorcycle (which I don’t), I just can’t imagine how I could begin to get my money’s worth when equally or more capable machines are available as much as 40% less. Furthermore, the bulk and crappy gas mileage really disqualify the ST1300 from day-to-day use. Decent second-hand models turn up from time to time, but the price premium is still too high. It’s a bike I really want to like, but the math just doesn’t add up. There’s no doubt that when Triumph created their midsize enduro bike, the Tiger 800, it was aimed squarely at BMW’s F800GS. Bred from the same gene pool as the iconic R1200GS Adventure, the F800GS is smaller, narrower, lighter and more off-road capable. Add to that BMW’s legendary build quality and there’s nowhere to go wrong with this midsize adventure machine. At only 465 lbs ready-to-ride, the Beamer walks in the footsteps of its bigger brother while leaving much shallower footprints. Its trim waist also helps it earn a 63 mpg rating. It’s a bike I could ride to the trail, then ride up it. Not a very good looking machine, if we’re honest. It’s the family face of the GS-series, but ugly is still ugly. Accessories, parts and service costs are through the roof for BMWs. The F800GS could probably be ridden for 20 years if properly cared for, but it’s still bringing a machine gun to a knife fight for my day-to-day riding needs. It also suffers from the same problem as the Porsche Cayman. Sure, it’s great on its own merits, but if you had the money you’d buy the 911 instead. Same with the F800GS. 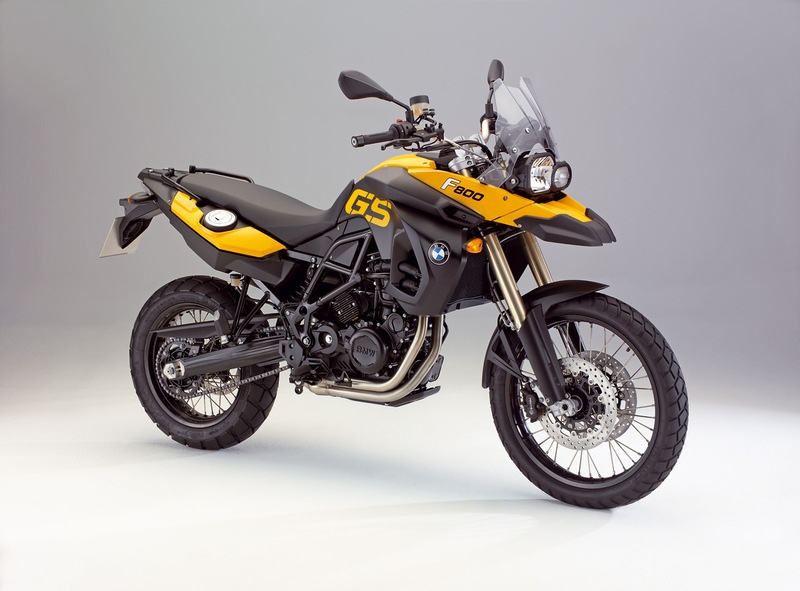 If you’re shopping for an adventure bike, are you only buying this bike because you couldn’t afford or couldn’t handle the R1200GS? I imagine it’s difficult to find a significantly more capable bike at any price, but bottom line, this thing just doesn’t speak to me. The V-Strom is on my radar specifically because I know people who own them and swear by them. Borrowing its engine from its scrappy little brother, the now extinct SV650, the smaller of the two V-Stroms has earned a cult following amongst touring riders on a budget. At just over $8k brand new, the price is almost suspiciously low when compared to the other machines in this space. However, when you look at the V-Strom, it’s not inexpensive because it’s missing anything important. Rather, I think it stands as a sensible commentary on what’s wrong with modern motorcycles: feature creep and price bloat. Anything the V-strom might lack in amenities it more than makes up for in all the basic things it does very, very well. It’s hard to put a finger on what the V-strom is really missing. It’s light, at 473 lbs. It’s got ABS as standard. It’s got the same power output as much larger engines. The best I can tell, the V-strom is inexpensive simply because it’s specifically intended to be affordable. It’s undecorated. It’s unadorned. It’s simple in a lot of really good ways. It comes highly recommended by people I trust and comes very well reviewed by people who’ve ridden everything out there. The V-strom is a very strong candidate for my modern motorcycle dollar. I need to get some seat time in one and try to suss out if the reality of riding the thing would offset its humdrum appearance. 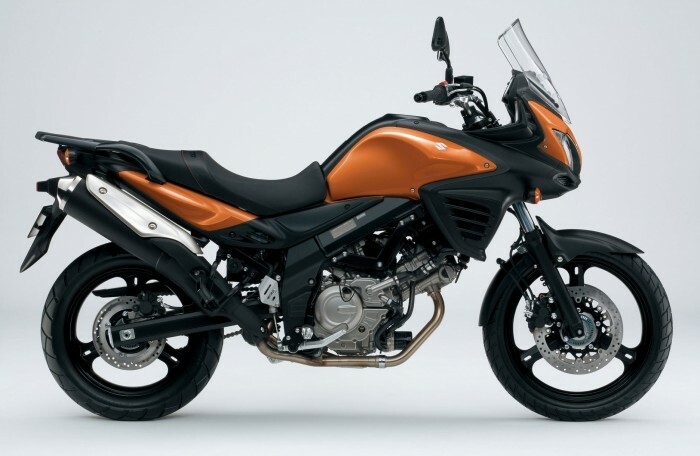 There’s very little to make the V-strom special, other than it likely being a very good motorcycle to ride. In the end, isn’t that all that matters? My concern is that it just wouldn’t have any character — that it wouldn’t be a bike I’m proud of. Then again, maybe I have enough interesting stuff in my garage. Practicality is a big part of my modern bike calculus. Setting aside strict practicality and all-around capability, there are bikes out there that I appreciate because they’re the modern incarnation of those ’60s and ’70s era machines that drew me to motorcycles in the first place. They’re classic style with modern engineering. Does that make them the best of both worlds? Truth be told, if I’d had the money when this motorcycle itch started itching, one of these bikes would have likely been my choice. 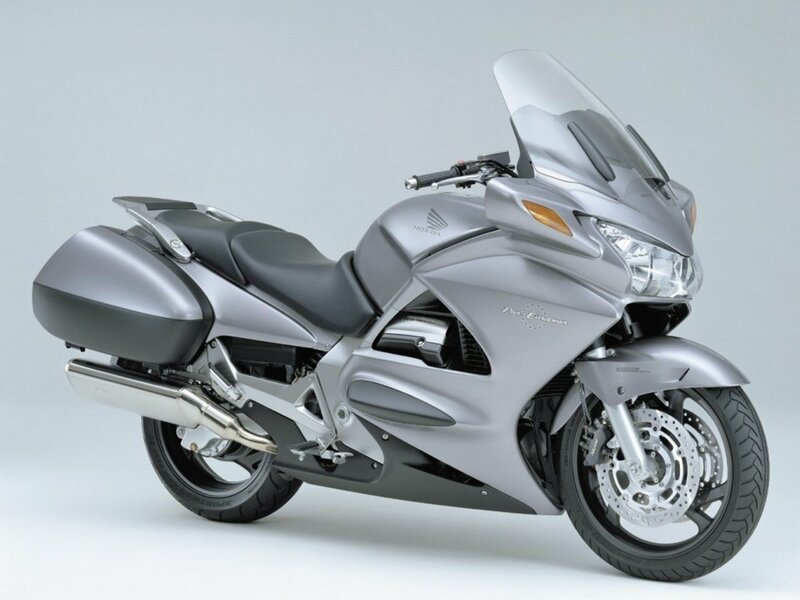 While not touring machines by any stretch of the imagination, I like to think that I ought to be able to throw a set of soft saddlebags on one and at least go on some day trips. Meanwhile, these modern classics would be perfect for that spur-of-the-moment blast up Lakeshore Drive or Sunday morning Full Moon Diner run. Besides, once I get the GL1100 sorted out and reliable, that is an actual touring bike after all. So when I look at modern classics, it’s an exercise in passion. It’s about finding a bike that I have really strong feelings for. The Enfield has a great story. It’s an English motorcycle built for military duty in India. The classic Enfield was engineered for tough, mountainous duty and even featured a cartridge-style transmission that could be exchanged with a single wrench. 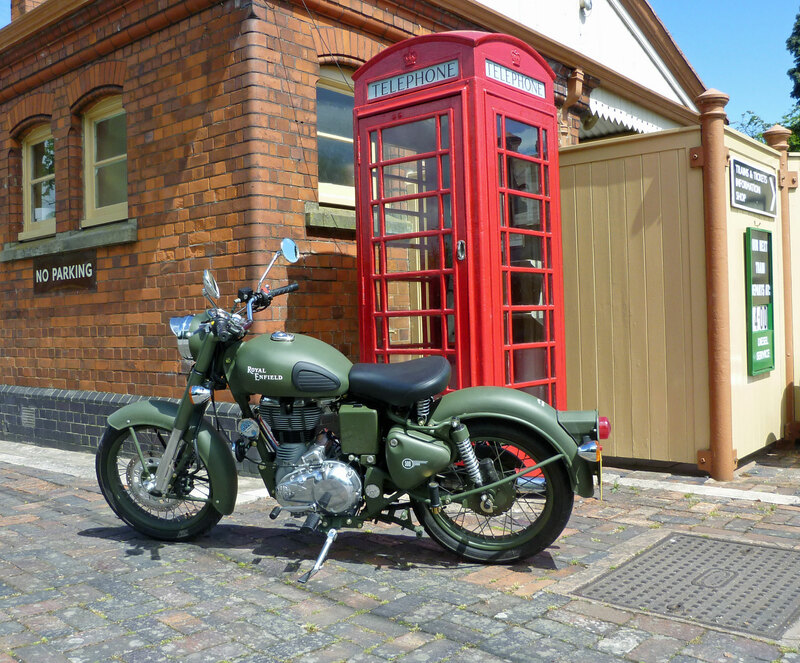 The updated Enfield 500 now features twin spark and electronic fuel-injection. Best of all, it retains its classic family looks. Still manufactured in India (which knows a thing or three about making motorcycles), the Enfield still features pinstripes done by hand and a reputation for reliability that is the pride of two nations. I’m a big fan of small bikes. My wife’s CM400 is as yet my favorite machine to ride for just an afternoon sprint. The Enfield’s 500cc thumper, sadly, generates less than 30 hp, compared to the ’81 Honda’s 43 horses. At 420 lbs, that lack of power means an Enfield Bullet wouldn’t have much muzzle velocity. It’s too bad, really, as the Enfield is a genuinely beautiful motorcycle. I’ve ridden a couple of them, and they feel like an old motorcycle in all the good ways. Unfortunately, it’s just too underpowered for me to take it seriously. When it comes to classic sporting motorcycles, there are four bikes that stand as the pinnacle of classic performance. The Triumph Bonneville, the Norton Commando, the Honda CB750 and the Moto Guzzi V7. Of these, only the Honda doesn’t have a modern classic representative. At basically an identical price point as the modern Triumph Bonneville T100 or Thruxton, the V7 seeks to cash in on its classic looks and consumer nostalgia. I’m a sucker for the classic V7s, especially so many of the great customs I’ve seen lately. 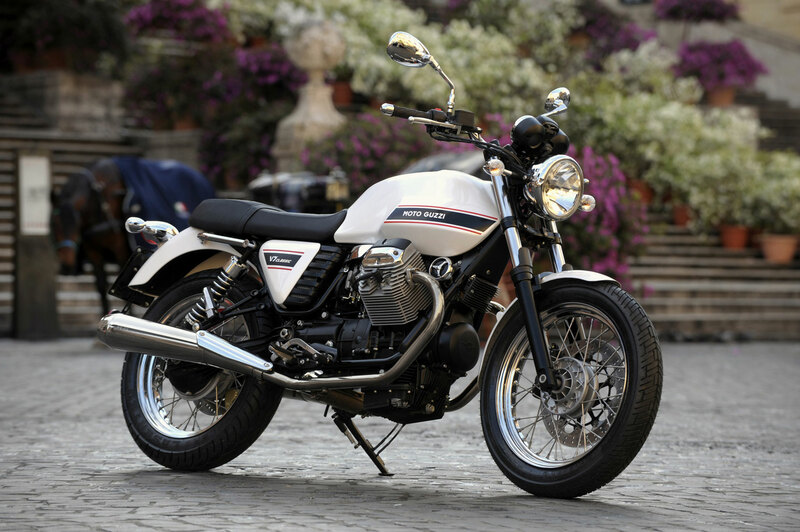 It’s a terrific cafe racer platform and Moto Guzzi knows that. However, while the V7 might match the modern Triumph on throw-back character, it doesn’t quite match it in power. Specifically, the V7 is down a full 20 horsepower under the Thruxton at only 48 hp. While I’m sure it’s no dog, and have read as much, for even money it’s hard to pass up on the Bonneville’s higher output. I want to like this bike, and I’d jump at the chance to run one for the weekend, but I don’t think I could ever bring myself to spend my own money on it. Not when I can get into a Bonneville for even money. If I’m honest, this is the bike to beat right now. The Thruxton is the motorcycle that got me into motorcycles. The first bike I ever rode was a Bonneville, and if I continue being honest, nearly every motorcycle I’ve bought since that first ride was purchased because I couldn’t afford a Bonny. The Thruxton is the Bonny turned up to 11 — a couple more horsepower, lighter wheels and better suspension. It’s also aesthetically where I would want my own Bonneville to be. That is, it’d be a cafe racer with a handful of small changes to make it easier to live with day-to-day. It looks the way I want it to look and having ridden the Thruxton, it’s a magnificent package. It feels new in all the ways that matter, and classic in all the ways that let it still have genuine character. 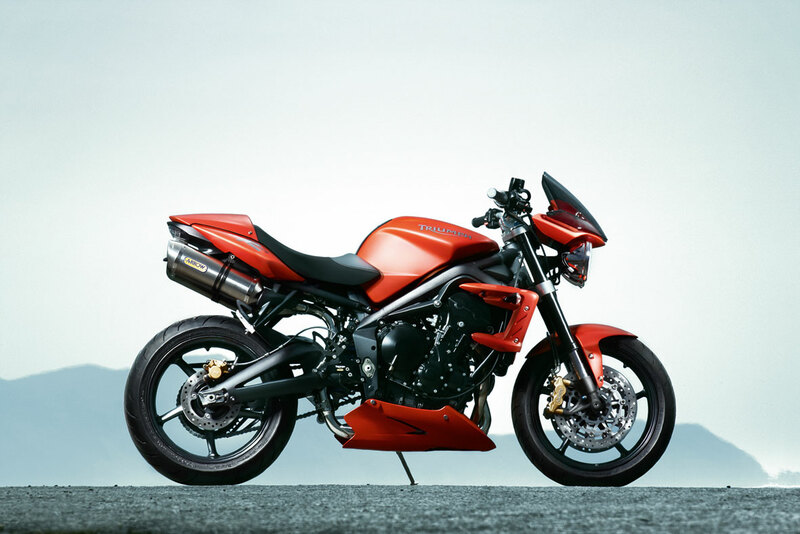 It’s my favorite type of engine too — the parallel twin — and Triumph is my longtime favorite motorcycle marque. Sorry Honda. It’d most likely just be a round town and short trip bike. No touring. I’d have to rework the handlebars before it’d be truly comfortable, and even then, I imagine I’ll always have some discomfort in my hands. Then again, I might get used to it, like you do when you come back to riding a bicycle after a long time away. I only have one nagging hesitation on the Thruxton. I’m worried that I’ll never be able to get fully comfortable on it because of its more aggressive ergonomics. In my half hour test ride of the Thruxton two years ago, the discomfort in my hands was not insignificant. That said, I think that some of that would go away with simply strengthening the muscles and what not that go into riding in that position. The rest of me was completely comfortable on that bike — legs, back, neck, even arms are all good. It was just the palms of my hands that got tired of holding up my torso. Could risers or less aggressive bars make the difference? I’ve owned brilliant but uncomfortable machines in the past, and it’s a mistake I don’t want to repeat. There’s part of me that is drawn to the idea of the Hooligan bike — a sportbike with a more upright seating position and none of the racer-boy baggage. One of these machines would be an absolute blast for the spontaneous joy ride. They’re decidedly un-practical, very in-your-face but also basic and essential. They’re the street fighter — the post modern cafe racer. While not a good choice for me right now, these are my favorites. Whew! That was easy, right? Not a bit. This exercise has only strengthened my opinion that the modern motorcycle market is far too thin on variety and far too fat on prices. What interesting, affordable choices are out there either aren’t up to snuff performance-wise, or just aren’t bikes that I’m confident about owning. That said, I really do feel like there’s no bad choice between the bikes I’ve landed on: the Thruxton and the V-strom. It’s going to come down to a choice between passion and practicality and I’m genuinely ambivalent about this. Both bikes have their strengths and weaknesses. Both have their own unique appeal, and they’re both basically even money. Stay tuned, as I’ll continue to work this out in this space. Something tells me I’m not going to know what I really want until I write the words. In the meantime, who’s got an opinion? What’d I miss? Talk me into something. Meanwhile, I’m going to see if I can’t scare up a V-Strom demo ride. Great list and analysis, and very similar conclusions to my own. My suggested addition in the Modern Classic category is the Ducati Monster 796. In my experience (based on riding my Ducati ST2 and a dealer’s SV650) the Monster may very well provide the “soul” that’s missing in the V-Strom. 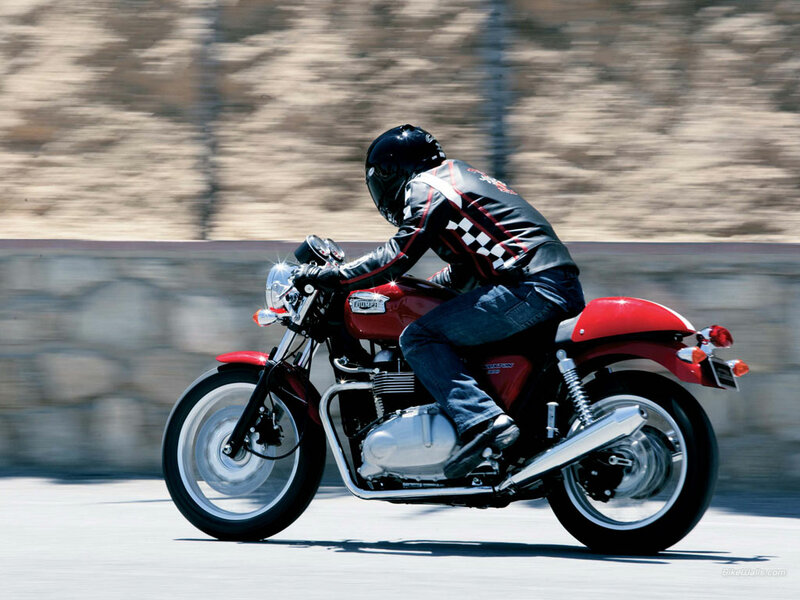 But, for sure that Thruxton is one sweet looking bike…it’s nice to have choices. But are you seriously bringing a Ducati into my search for a reliable motorcycle? I had a neighbor in Minnesota who had a Monster and you could hear the cam chain over the exhaust …from about half a mile away. They’ve definitely got soul, but I have enough mechanical trust issues. Don’t need to add a Ducati to that equation. Besides, they’re in terrible financial straights right now. There are talks of a sale to Audi and others. I want a bike whose marque will actually be around to honor their warranty. I understand your concern regarding reliability; IMHO Ducati is no worse than any other European manufacturer. Certainly my ST2 never stranded me with something that I couldn’t fix by the side of the road. And after years enjoying my Kawasaki EX500 and Honda CBR600F1 (both great bikes), I was ready for something with more soul. The noise coming from your neighbor’s Monster was likely the dry clutch, as the cams on modern Ducatis (since 1986) are all belt driven. Yes a Ducati dry clutch can often be heard before the exhaust; that’s part of the soul. FWIW, 2012 Monsters now have wet clutches, for better or worse. It will be interesting to see what happens to Ducati’s business. They have one of the premier industry brands, loyal and growing dealer and customer base, excellent marketing and a modern product portfolio. I expect they will be acquired by a solid company once all is said and done. A chat about those concerns with a trusted Ducati dealer would be informative. I certainly wouldn’t hesitate to purchase a new Ducati today, but YMMV. Cheers on continuing your search, and please continue to blog about your progress. You’re the only person I’ve ever heard speak well of a Ducati. Modern bikes are modern bikes — you’ve got a point there. I saw that. Makes sense. Wonder what this will do to the Ducati price point.